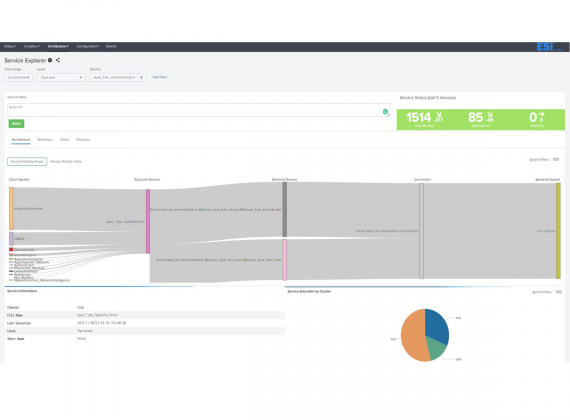 Enterprise Service Intelligence allows you to monitor the whole IT systems landscape from a single standpoint. By installing ESI, you tap into the richness of your data flows in realtime, both for operational and business purposes. Get full visibility over the state of your systems and anticipate issues before they escalate. Track business performance, perform streaming data analytics and gain valuable inputs for decision-making. Enterprise IT problems can escalate quickly and become costly. In modern companies, digital processes are supported by several platforms interconnected by a mesh of enterprise services which, due to their distributed nature, are hard to track. Nonetheless, they are as vital to your company as the platforms that support them. Can you afford the downtime? ESI monitors and manages your enterprise services. 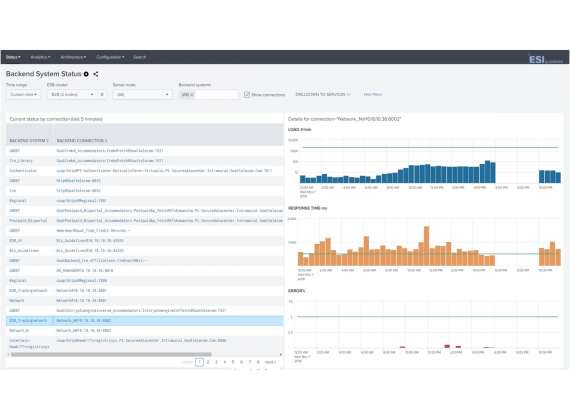 It captures service execution data to build a living representation of what goes on your Enterprise IT, providing visibility over the status of your enterprise services and platforms. ESI uses Big Data to process, in real-time, the huge volume of data that is being generated continuously. 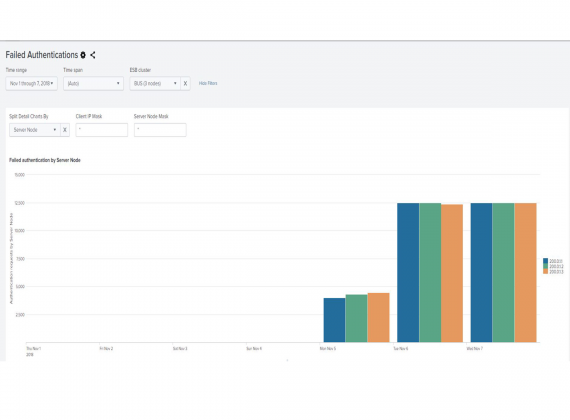 Some ESI dashboards show you the big picture by aggregating data – for example, the average response times of a service or the status of a platform. Others let you drill-down and find out exactly what happened in a particular service invocation. No valuable detail is lost. And since dealing with all this complexity and data volume is overwhelming for humans, ESI uses AI and Machine Learning algorithms to direct attention to where it is needed. What can ESI do for your company? Contact us and discover how can you benefit from ESI.